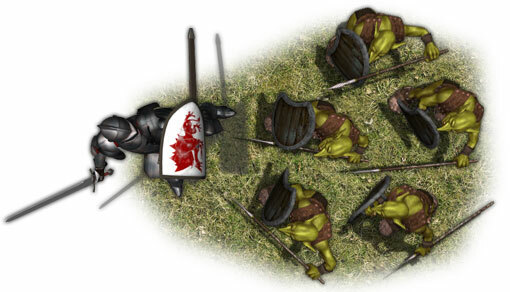 This token pack is dedicated to the most common monster in role-playing history, the Goblin! 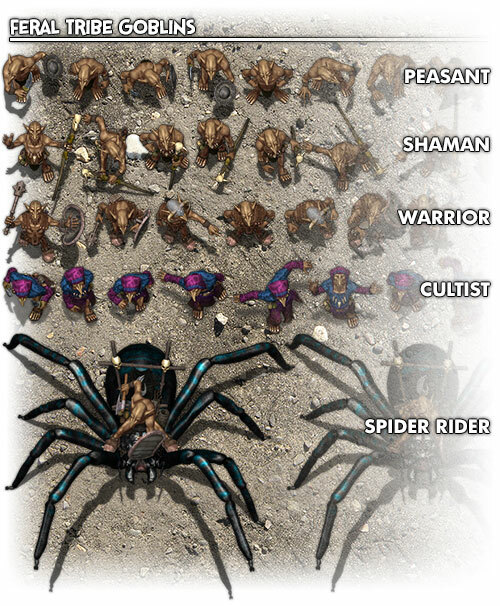 With this new token pack you will have Goblins coming out your ears with the variety of different poses that are divided into a number of different character types: Shaman, Cultist, peasant, Warrior and Spider Rider! 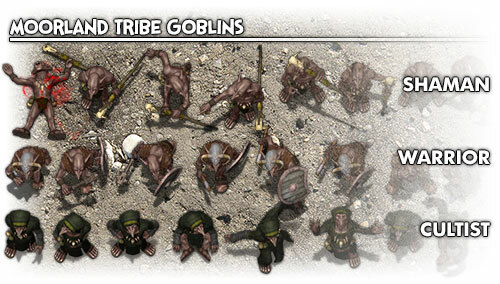 Plus the Goblins are also broken down by tribal skin color to add a little more character to the tokens. 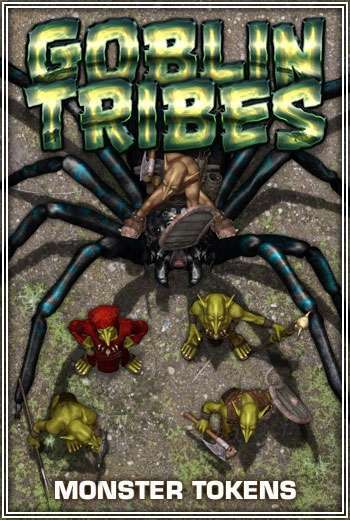 The tokens contained within this package have been produced with digital role-playing software such as Fantasy Grounds or Battlegrounds in mind - but can easily be used in other Virtual Tabletop software (such as Roll20). 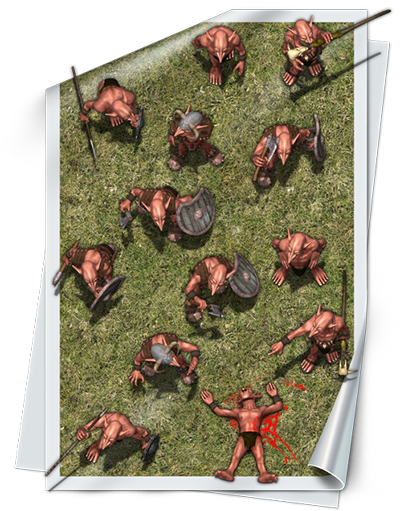 If you are not sure about what you will get, or the quality of our digital tabletop role-playing tokens. 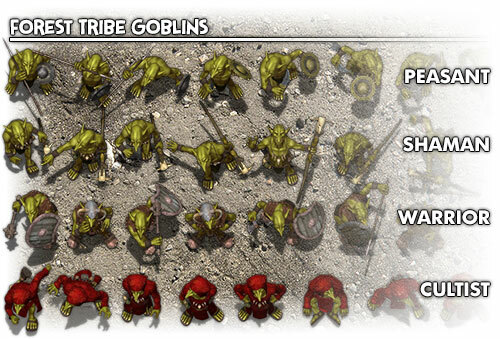 Then why not click here to download our Sample Goblin character set: The Shaman. 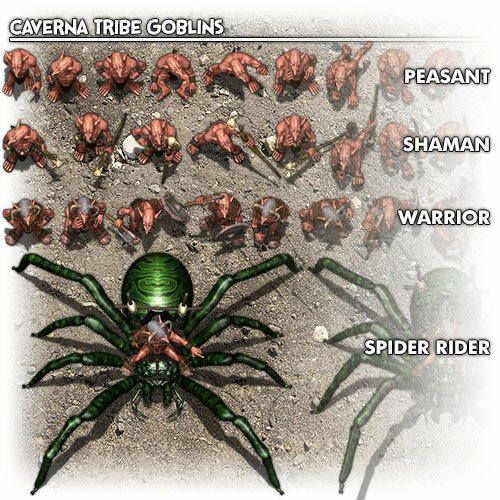 The Caverna Tribe of Goblins, are cave dwelling goblins that lurk in deep dark underground caves. Coming to the surface to raid settlements. The goblins have a light pinkish skin because of their avoidance of sunlight. Feral goblins can be found almost anywhere, lurking under bridges, city sewers, or derelict buildings. They have at times become a nuisance to town and cities, living off the trash that every day folk throw away. The forest goblin tribes are the most well known, as travelers often encounter the green skinned goblin raiders on roads or paths through forested country. While farmers often have to deal with Forest Goblin poachers stealing their live stock. The Moorland tribe has been found inhabiting large swamps on the edge of the wilderness. Explorers have often traded with the Moorland Tribes for peat from bogs, while others have employed Moorland Goblins as guides through their swampy homes. Moorland Goblins are easily identified by the swampy color of their skin, not to mention the smell. The Nächtlich Tribe of goblins is best avoided at all costs, this tribe of purple skinned goblins openly worship the underworld demons. 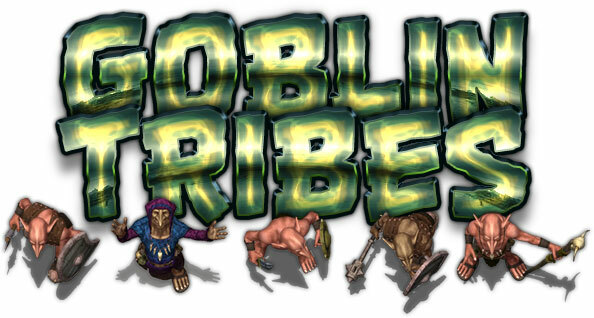 It is unknown where this tribe of goblins hides during the daylight hours, but come night fall the purple skinned goblins dash out of the shadows to commit all manner of foul deeds. 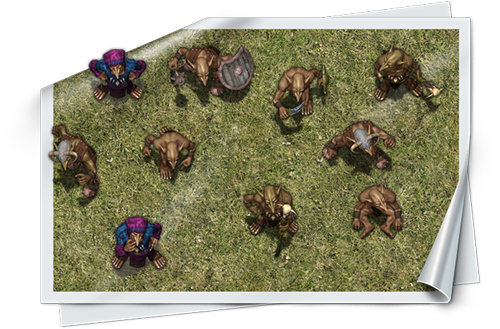 This token pack is for use with programs such as Fantasy Grounds II or Battlegrounds. 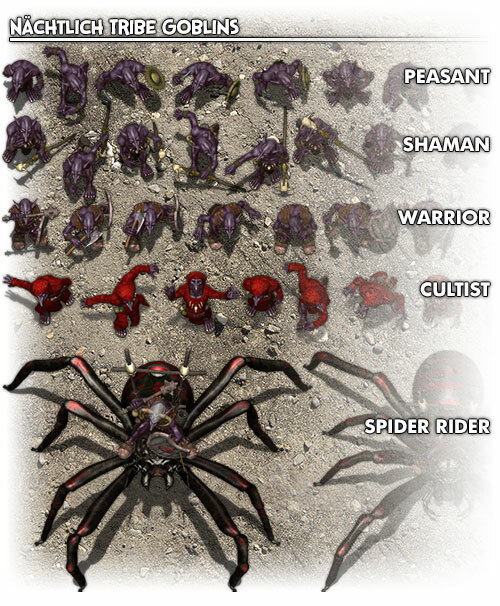 This is not a stand alone game, but a gaming aid (token art pack) for use in virtual tabletop role-playing software. In order to use the new module, you must drap'n'drop the module file (the file with the .mod file extension) into the Module Folder within your Fantasy Grounds Data folder. Then when you are within Fantasy Grounds II, click on the Tokens icon to open the Tokens Menu window. Then click on the Modules button at the bottom of that window. Next, find the module you wish to activate and "open the book" for that module. You can also select if you want to block players from loading the tokens or Allow players to load the tokens. Enjoy unlimited adventure with these virtual table top role-playing resources from Studio WyldFurr.